Jennifer and her husband a U.S. Army Veteran live in Fairhope, AL. Her husband served two tours with the Army in Iraq and eventually enrolled back into school becoming a Deans list student at South Alabama. Jennifer, a 15 year Federal employee works full time as well as volunteers full time as a advocate for other veteran families. After finishing up a semester last year in December, the veteran decided to take a leave of absence from school due to health issues and the need for internal healing. With the loss of the monthly GI Bill income the family had a slow decline. Recently some good news came their way after a phone consultation with Army Public Health at Aberdeen, MD in regards to the veterans toxic exposures while serving in Iraq. After a review of his service medical records as well as post discharge records, he has been offered a clinical evaluation at Walter Reed Medical Center. The veteran and family are expected to travel there within the next month. This exam will also prompt an immediate review by the Veterans Administration of the veterans entitlement to increased benefits as well as an established treatment plan based on combat exposures. This is something the family has been hoping for way to long. The hope is with the alleviation of financial strain through increased compensation and an effective healthcare plan established at the recommendation of Walter Reed, the veteran can focus on healing. The family recently suffered the loss of their only vehicle do to an engine problem while Jennifer was on her way to work at the Coast Guard base in Mobile. The car is beyond repair and with no down payment and the lack of a high enough credit score, the family is was without transportation. This placed a severe threat to the Jennifer’s 15 year career which provides the bulk of the families income as well as health insurance needed to cover the family, especially the veterans issues not yet service connected. Jennifer was placed on leave without pay from work, which caused the family more financial stress. Jennifer reached out to Helping Homeland Heroes in regards to her current situation, and was immediately referred to Gil and Corby with Homes of Light, and VetCar. The next day the dedicated crew at VetCar drove all day from Atlanta, GA to deliver Jennifer and her family a car to remedy their situation. 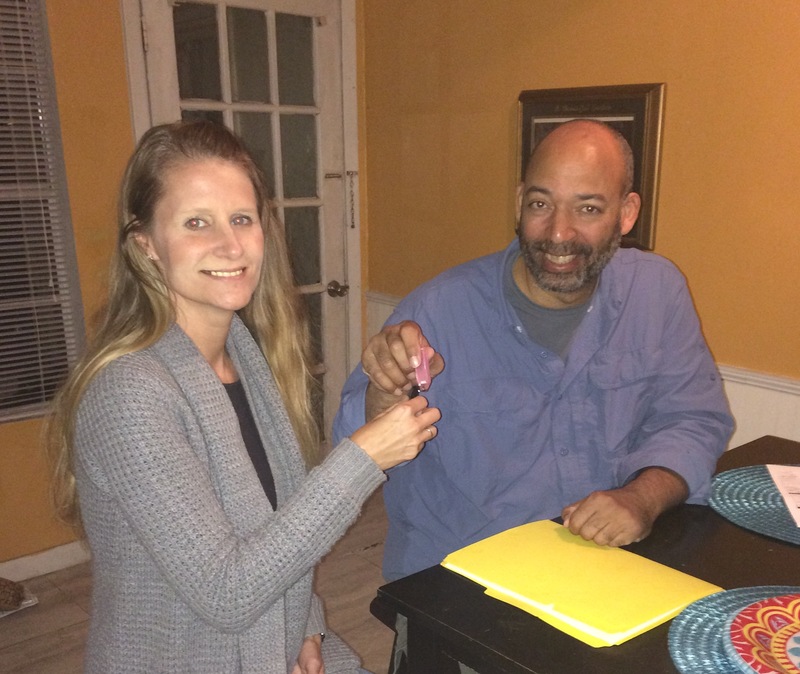 Jennifer was able to return to work and continue providing for her family thanks to the quick response of the VetCar and Homes of light family.